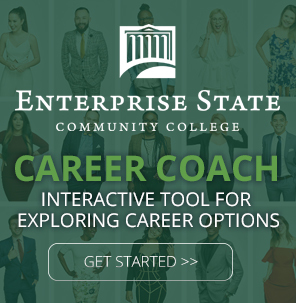 Enterprise State Community College’s softball team gives students the chance to compete at the collegiate level with talented athletes from around the state. 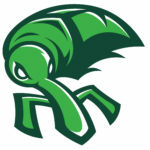 The Boll Weevils’ softball team has been in action since 1988 and has been a strong program, providing many students with the opportunity to shine athletically. Playing college softball gives students once-in-a-lifetime memories of triumph and camaraderie that they will cherish for years to come. Athletes on the team are also eligible for one of 18 scholarships provided to baseball and softball players. Traci Harrison is the head coach of the 15-player squad and has significant experience in helping student athletes live up to their full potential. Coach Harrison’s program helps get students into the best mental and physical condition of their lives, enabling them to compete with other teams in the southern conference of the Alabama Community College Inc. and the NJCAA. Coach Harrison’s career began at Gadsden State Community College where she earned All-Conference honors as a pitcher in 2002. After her two-year playing career at Gadsden, Harrison transferred to Milligan College. In 2004, Harrison was selected as a 2nd team All-American as a pitcher. Upon graduating from Milligan College, Harrison continued working in various softball coaching positions, including stops at Vernon High School as Head Softball Coach where she led the program to its first ever regionals, 2006-2009. She was an Assistant Softball/Pitching Coach at Lincoln Trail College, 2009-2010, Played professional softball as a Pitcher of the Semi-Professional Softball Austria League, 2011 as well working with the Austria National Team as they compete in the World Cup In Italy. Coach Harrison was recently the Assistant/Pitching Coach for the NCAA D2 University of West Georgia. She has an Bachelors in Education & Masters in Coaching & Athletic Administration. ESCC and Coach Harrison are committed to the academic and on-court performance of its athletes. ESCC athletes have a 70 percent graduation rate from the college, well above the graduation rate of the general student population. The college recently had seven students recognized in the NJCAA All-Academic Awards.